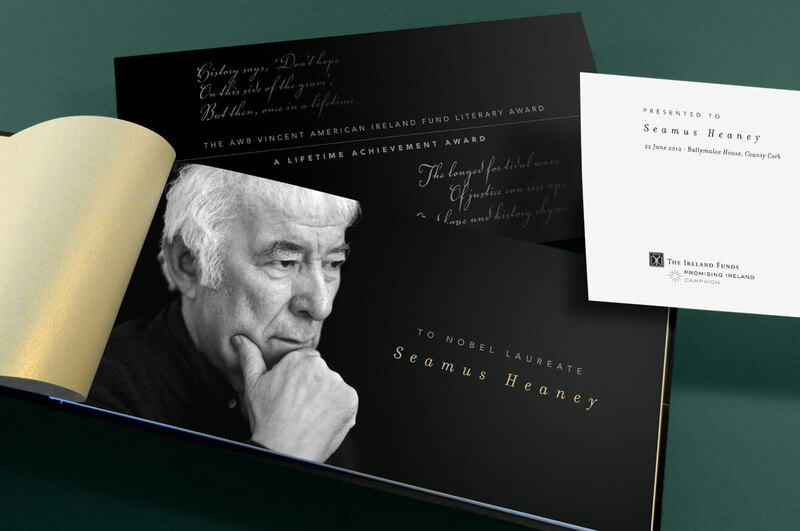 The AWB Vincent American Ireland Fund Literary Award, presented a Lifetime Achievement Award to Nobel Laureate, Seamus Heaney. 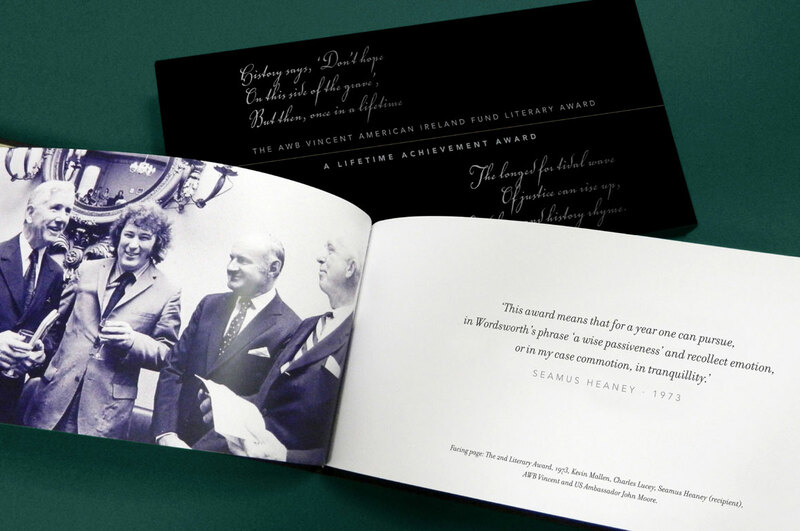 The award was presented with a limited edition casebound book, in a custom presentation box, which traces the history of the literary award over the 40 years since its inception in 1972. 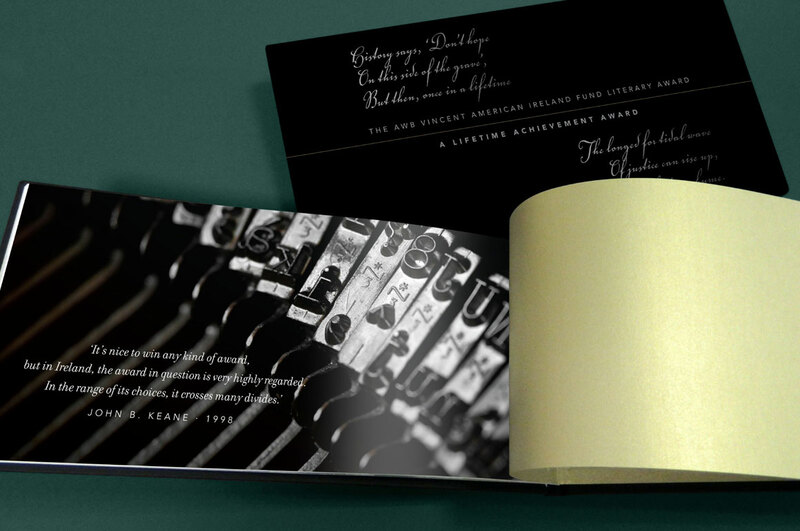 The book and box cover features an extract from the poem ‘The Cure at Troy’ by Seamus Heaney, in a spot varnish on black stock. The presentation of the award was part of The Worldwide Ireland Funds Annual Conference. 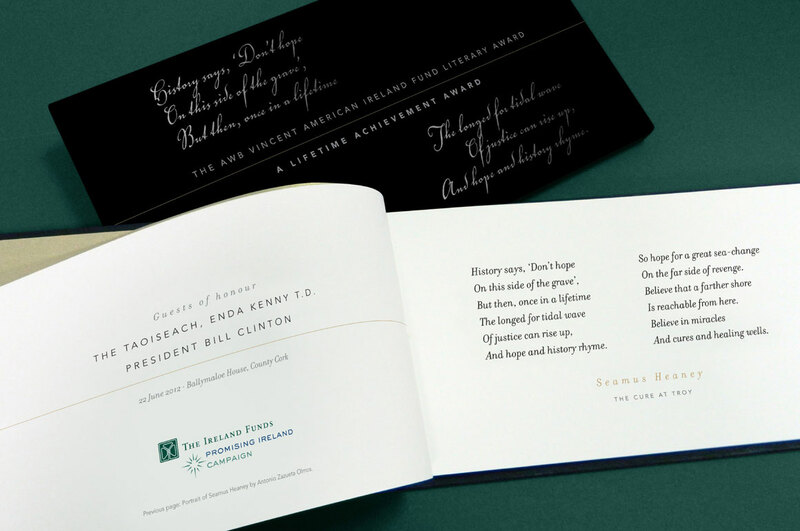 Guests of honour were the Taoiseach, Enda Kenny T.D. and President Bill Clinton, in Ballymaloe House, County Cork.